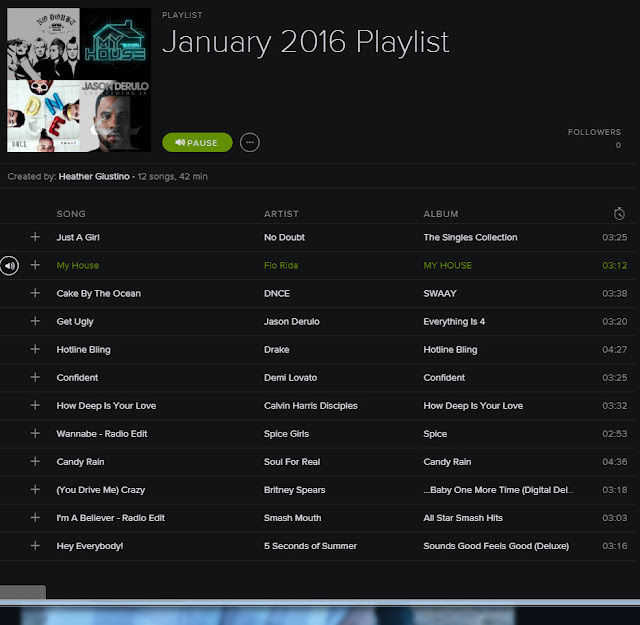 I can hardly believe we are in January - new month, new playlist! HERE is what I'm listening to this month. A bunch of upbeat, fun ones including one of my all time favorites, Just A Girl. You can listen to my January 2016 workout playlist for free on Spotify. You can find my past monthly workout playlists HERE. Enjoy!